I am watching Inside Out as I am writing this blog post -- has anyone else seen this adorable movie?! It is seriously so cute! I love how each emotion is portrayed with joy, sadness, anger, disgust, and fear. And I obvi loved how the family just moved to San Francisco! I literally LOL'd when the mom said "apparently the green bin isn't recycling it's the compost." I'm still trying to figure out what goes in the recycling vs. the compost. There were no compost bins readily available in Texas like they are here in California. Luckily my work has photos and descriptions above every bin which helps me decide where to put what! But I always get self conscious when I take too long to figure out where my #PSL Starbucks cup goes. I can feel my fellow coworkers staring at me if they come in the kitchen and see me staring at the three bins. And then I make a quick decision on a bin and can feel their judgement if I chose the wrong bin! I'm sure their thinking "those Texas girls just do not know how to properly recycle." Well sorry I grew up where it was pretty simple plastic/paper goods = recycle; everything else = trash! But alas, I'm learning and trying to be a good little Cali girl. But enough with my rant of composting! 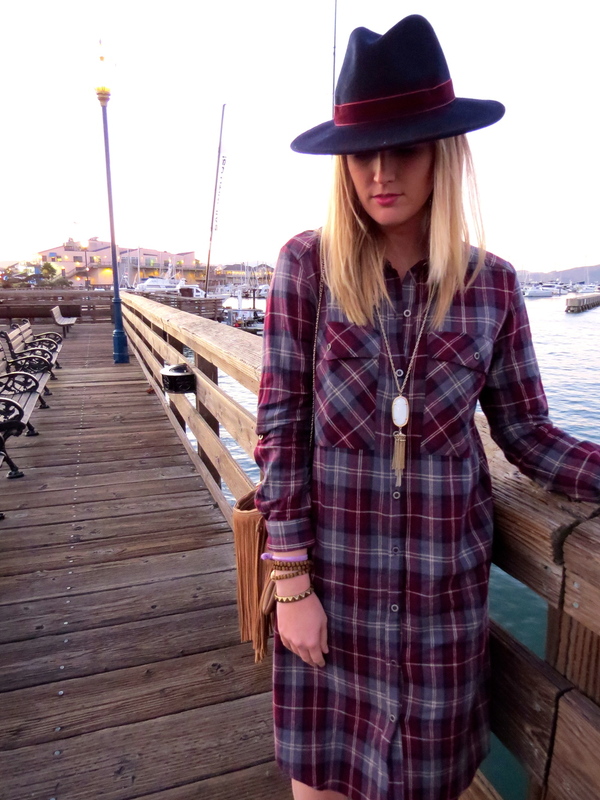 How adorable is this plaid dress?! I love how it is a longer plaid dress vs. a shorter above the knee hem. It makes it a little more appropriate to wear to the office and the bonus part? It's SO comfy! Unfortunately I left all my fur vests in Texas but I think it would be so cute to throw one over it for the cooler temps! I found this dress at Forever 21 the other week when I was looking for a cheap fringe dress to use as my Halloween costume (I was an Indian) and of course stumbled on a few other things. I swear, Forever 21 is just like Target. You go in for face wash and walk out with their whole home department. But I didn't feel too guilty purchasing as both items were less than $50 combined! Style steal if I say so myself. It's like I saved money, right? !